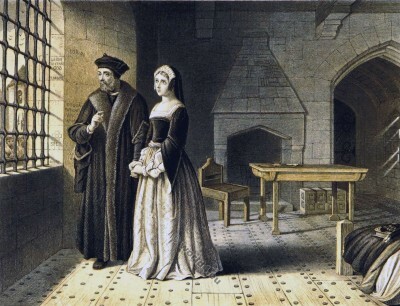 “Pictures and Royal Portraits illustrative of English and Scottish History. From the introduction of Christianity to the Present time.” Author: Thomas Archer. 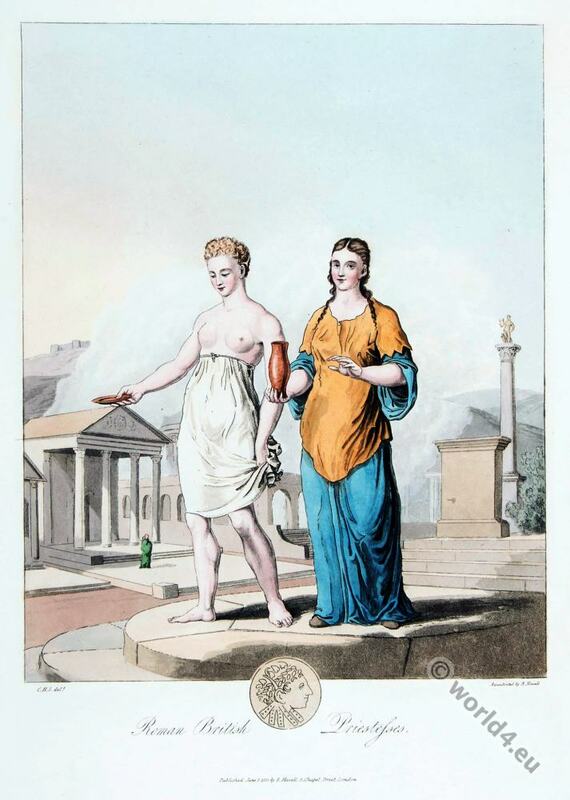 Published in London, 1878 by Blackie & Son. The Escape of Charles II. with Jane Lane. Charles as William Jackson riding with Jane Lane to Bristol. The Escape of Charles II after the battle of Worcester. By Edward Matthew Ward. The Escape of Charles II. 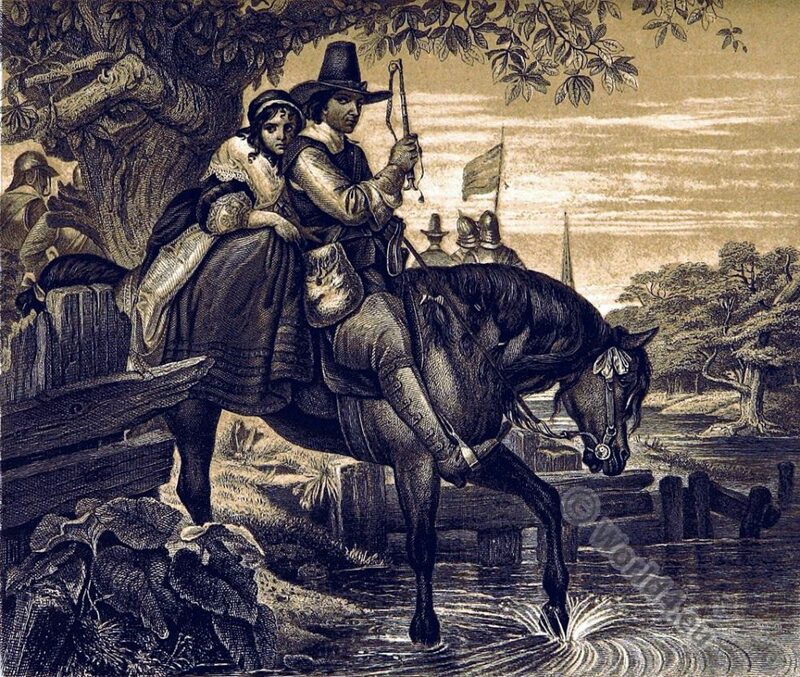 Charles and Jane Lane who sheltered King Charles II after his defeat at the Battle of Worcester, 1651. This entry was posted in 1651, 17th Century, Baroque, England, Nobility, Stuart and tagged Baroque era, English history, Pictures and Royal Portraits on 7/27/16 by world4. 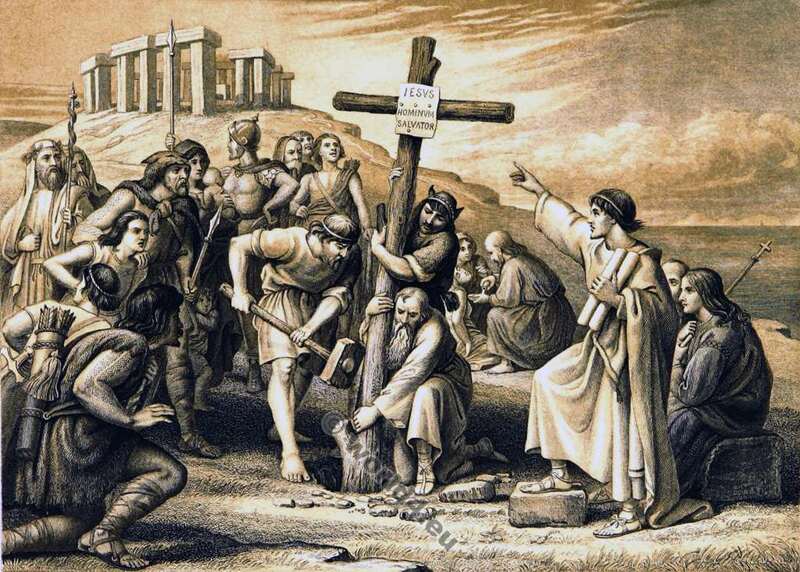 The dawn of christianity in Britain. 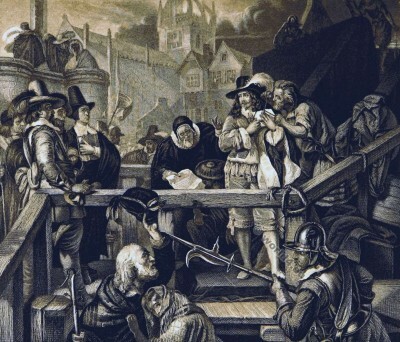 The first preaching of christianity in Britain. This entry was posted in 4th Century, Ancient, Anglo-Saxon, Celts, Ecclesiastical, England and tagged Ancient Roman Costumes, Ecclesiastical Dress, Pictures and Royal Portraits on 4/8/16 by world4. James Graham, 1. Marquess of Montrose. 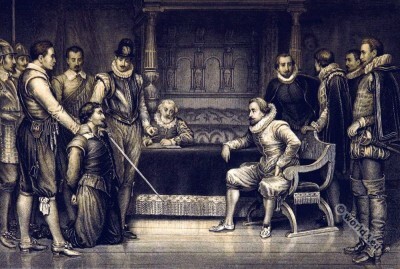 The Marquis of Montrose at the Place of Execution. 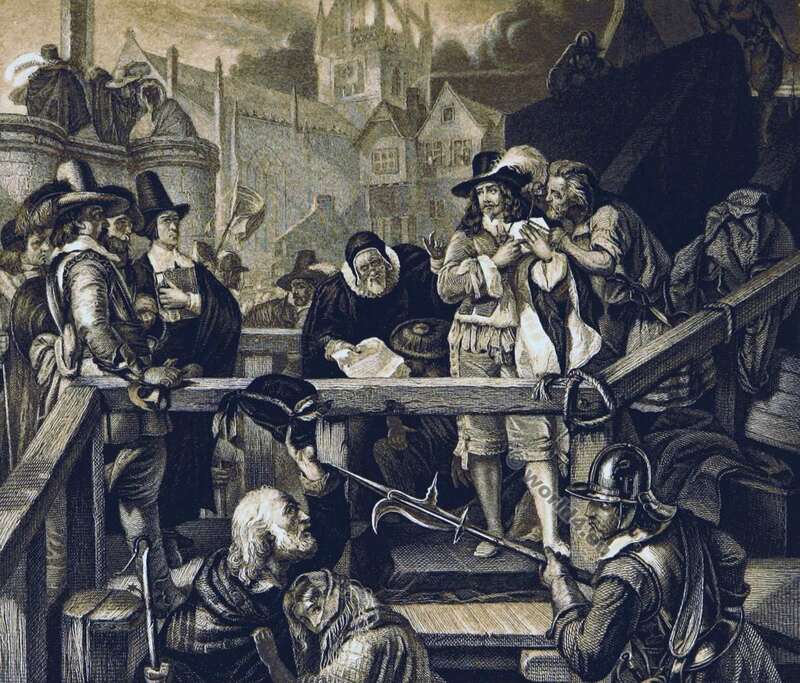 The Execution of James Graham, 1. 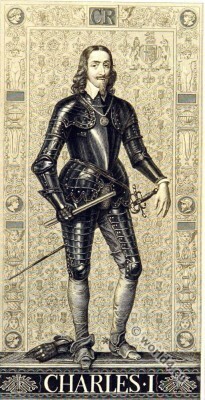 Marquess of Montrose. 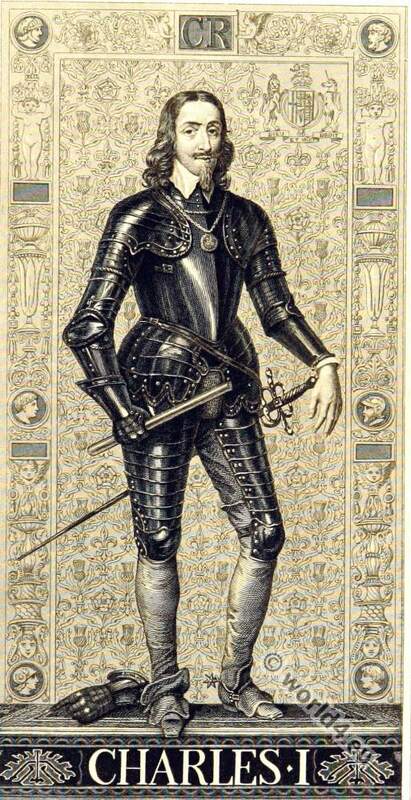 James Graham, 1st Marquess of Montrose, (born probably in 1612 in Montrose, executed on May 21, 1650 in Edinburgh) was a Scottish nobleman who fought from 1644 to 1650 in the English Civil War in Scotland for the royal side. This entry was posted in 1650, 17th Century, Baroque, England, Nobility and tagged Baroque era, English history, Pictures and Royal Portraits, Portrait on 3/1/16 by world4. Celt and Roman. History of England. Roman British priestesses. 3rd century. This entry was posted in 4th Century, Ancient, Celts, England, Gauls, Roman and tagged Celtic, English history, Pictures and Royal Portraits on 2/24/16 by world4. Oliver Cromwell. Lord Protector of England, Scotland and Ireland. 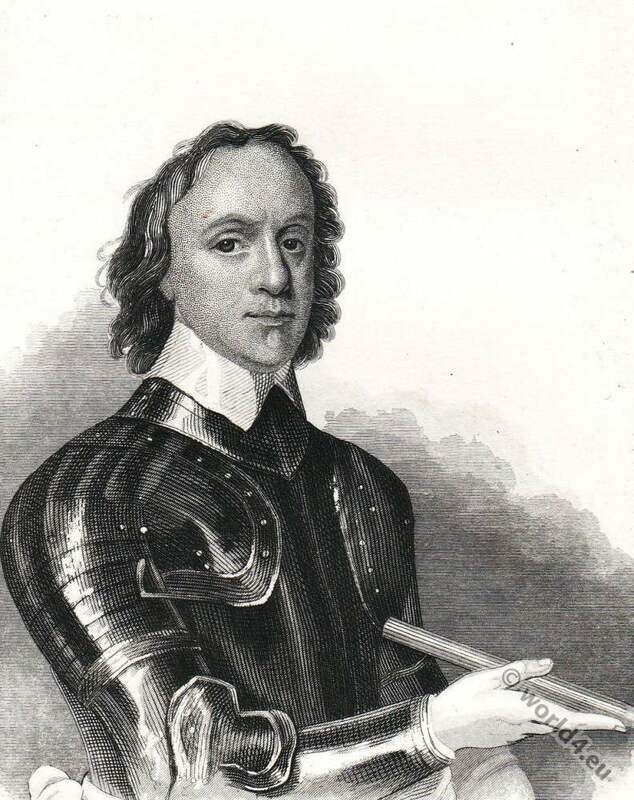 Oliver Cromwell (born 1599 in Huntingdon, died on September 3, 1658 in Westminster) was Lord Protector of England, Scotland and Ireland during the brief Republican period of British history. In the history of the British Isles Cromwell is a controversial figure. Some historians rate him as a Kingslayer and dictator, while he applies by others as freedom hero. This entry was posted in 17th Century, Baroque, England and tagged Baroque era, English history, Pictures and Royal Portraits on 11/30/15 by world4. Charles the first in the guard room. 17th century. Charles the first in the guard room. 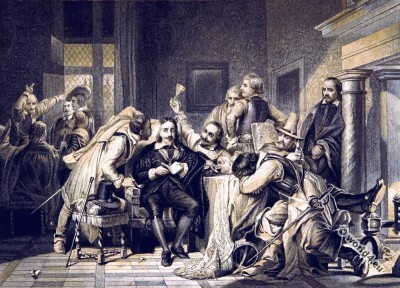 Charles I Insulted by Cromwell’s Soldiers by Hippolyte Delaroche. 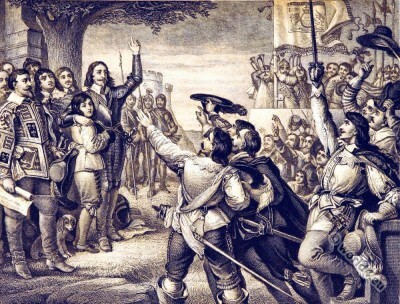 Charles I of England taunted by the victorious soldiers of Oliver Cromwell. Charles the first in the guard room. We feel now, as men felt very soon after the execution of Charles, that we cannot hope entirely to justify the means taken to bring about his trial and to insure the sentence. The last act of the terrible tragedy closes on a scene which has remained for more than two centuries one of the saddest and most affecting pictures in English history. This entry was posted in 1649, 17th Century, Baroque, England, Genre, Nobility, Stuart and tagged Baroque era, Pictures and Royal Portraits on 10/30/15 by world4. The Battle of Marston Moor on 2 July 1644 . 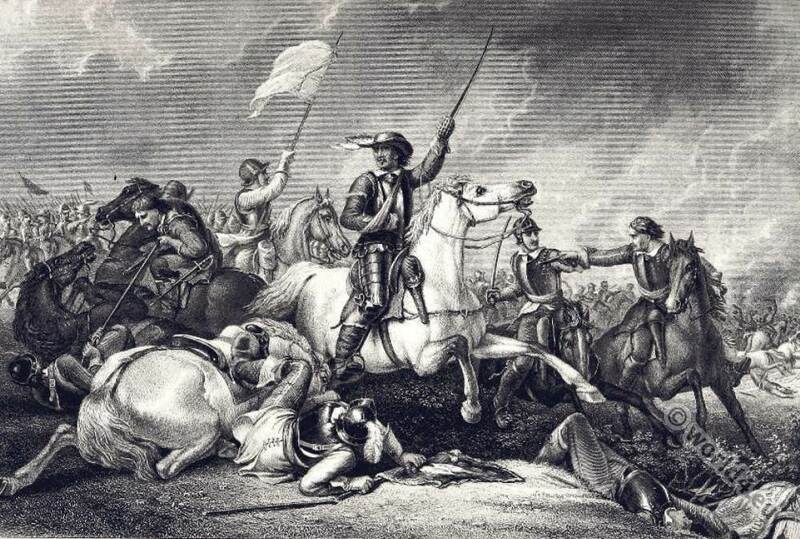 Oliver Cromwell at the Battle of Marston Moore, July 2nd 1644. Cromwell leading a charge after being wounded in his right arm. The Battle of Marston Moor. The Battle of Marston Moor was held on 2 July 1644 near York and was one of the decisive battles of the English Civil War. In her the army of Parliament won his first major victory over the royalists. Northern England was thus lost for the royalists of King Charles I. This entry was posted in 1644, 17th Century, Baroque, England, Military, Stuart and tagged Baroque era, English history, Pictures and Royal Portraits on 10/20/15 by world4. Charles I and The English Civil War 1642-1649. The opening scene of the Great Civil War. 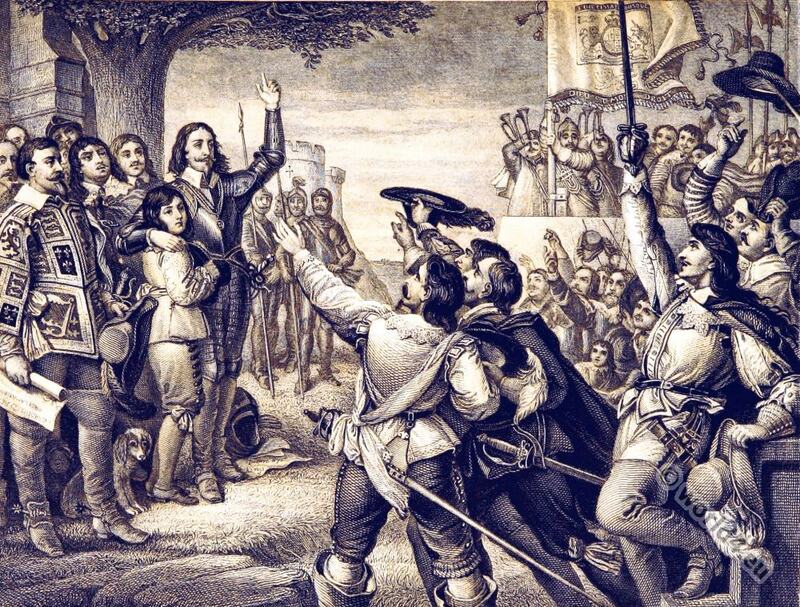 Charles I erecting his standard at Nottingham August 22nd 1642. 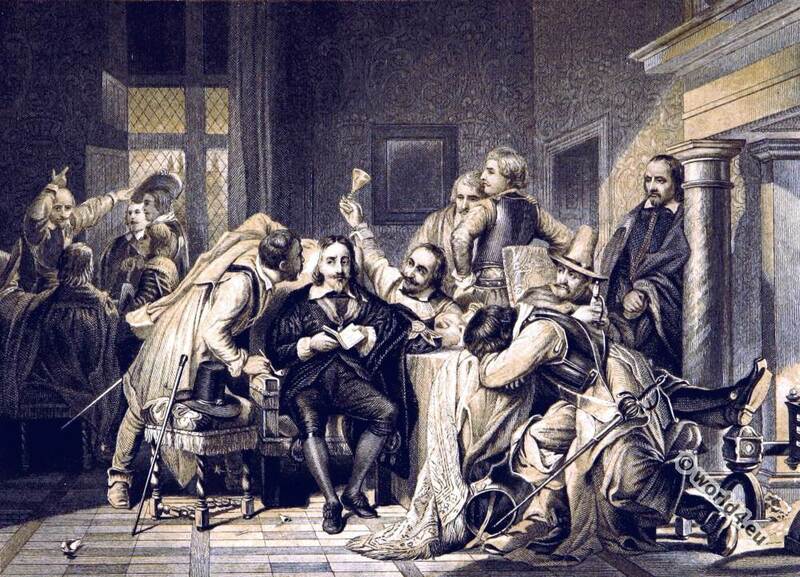 The English Civil War was fought 1642-1649 between supporters of King Charles I of England (“Cavaliers”) and those of the English Parliament (“Roundheads”). 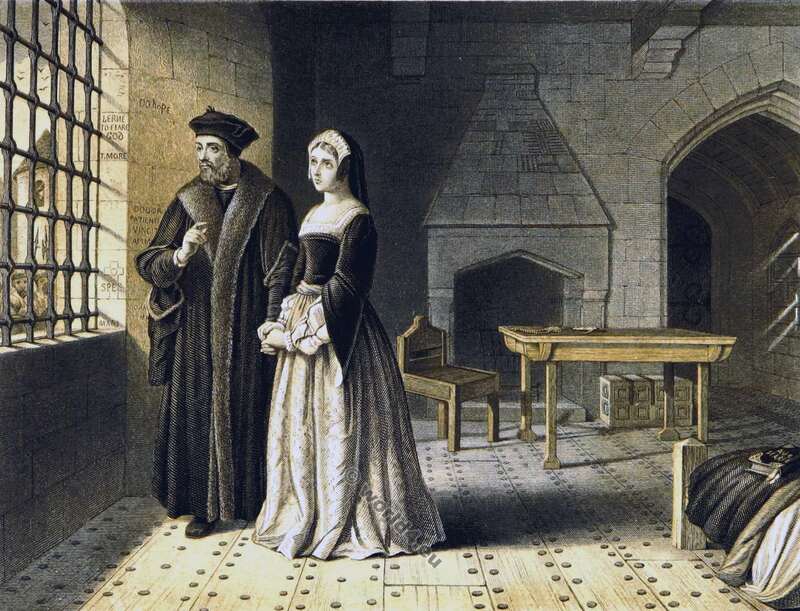 It reflects not only the tensions between the absolutist minded King and the House of Commons, but also the contrasts between Anglicans, Puritans, Presbyterians and Catholics erupted. The war ended with the execution of the King, the temporary abolition of the monarchy and the establishment of a republic in England. This entry was posted in 1642, 17th Century, Baroque, Costume, England, Nobility and tagged Baroque era, English history, Pictures and Royal Portraits on 9/28/15 by world4. This entry was posted in 1640, 17th Century, Baroque, England, Nobility and tagged Baroque era, English history, Knighthood, Pictures and Royal Portraits on 6/23/15 by world4.